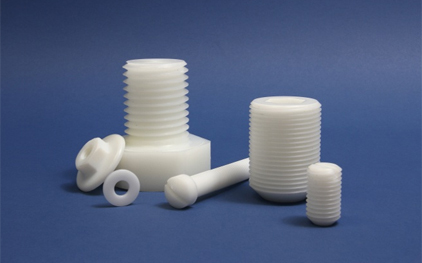 POM (Polyoxymethylene, acetal) is the most common structural plastic material, together with PA (Nylon). POM is easy to work for dimensionally stable structures and is weather resistant. POM can spring a little, giving a snap effect that may be useful in certain contexts. POM is an affordable material. 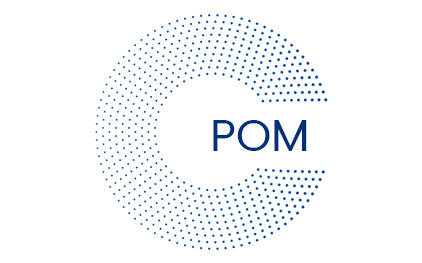 POM can be supplied with food approved in conjunction with food contact, upon request. Application temperature normally from approx. -50 ° C up to 100 ° C.
Attacked by strong mineral acids (below pH 4). Decomposed by sunlight / UV rays (nature). Impeller wheels, bearings, gears, couplings, bearings, pulleys, handles, water meters, propellers for ventilation, fine mechanical details, etc.